The end of the last Star Wars trilogy now has a name — ‘The Rise of Skywalker‘ — and the world just got its first look at the trailer with a spectacular premiere in a galaxy not far … from Lake Michigan. 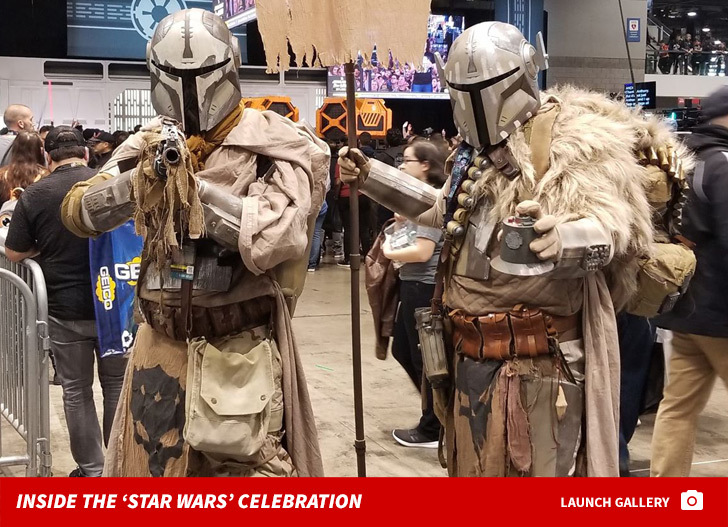 Director J.J. Abrams and much of the cast were at Star Wars Celebration Chicago — think Comic-Con strictly for ‘Star Wars’ — when they pulled the curtain back on the highly anticipated trailer. Aside from revealing the title … it also had Mark Hamill‘s voice and at least one scene with the late Carrie Fisher. One of the bigger surprises is the creepy laugh at the end of the trailer … signaling the return of the Emperor, as in Palpatine. When the trailer ended … Ian McDiarmid, the guy who plays the Emperor, was standing on the Chicago stage — and delivered a message in character. Watch … the crowd went wild, and the Force was definitely with them.